Here are some reasons why you should learn with us. We do our best to offer you great content in our tutorials. For instructors we only choose outstanding experts with significant teaching experience. Start our courses for free, and check for yourself before buying them if they really did a good job. 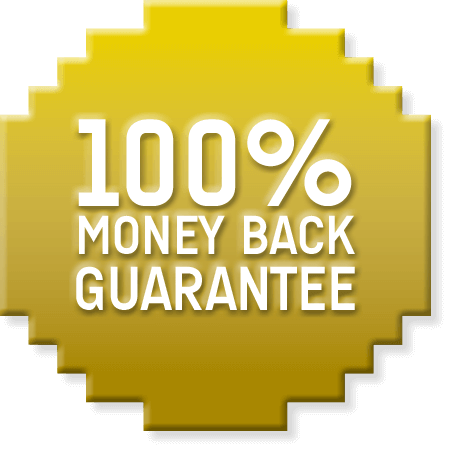 If for any reason you are not happy with the course you bought, just tell us, and we will give you your money back. We don't want you to pay for something you don't like and to be unhappy about it. By taking our online courses you receive practical knowledge you can immediately use. To get the most out of the trainings we suggest working together simultaneously with the instructor and trying things for yourself. You can start all of our courses for free. See for yourself how you like them and if they are useful for you. By watching the free parts you can meet the instructor, check your background and most of all start any of our courses free of risk. For your convenience you can download all the materials of your course. Own your training and learn as you like. You can even do it offline, on the device you prefer. You are not alone when doing the course. Each training has a Comments section where you can ask your questions. The instructor is ready to help you, as are your fellow students. Acquiring valuable knowledge in a new area deserves a nice reward. By taking our quiz after the course you can prove that you master the topic. If you do so as an acknowledgement you will get our official Certificate of Completion. Paying with PayPal is simple, fast and secure. And even if you don't have a PayPal account, no problem. Via PayPal you can still pay with your debit or credit card (Visa, MasterCard, Discover, American Express). After paying you will get immediate access to your course's materials.